Looking for some music to seduce your loved one with this Valentine's Day? Well, the Mobius Band have done all the young and old lovers out there a favour by giving away a free download of their favourite songs covered by, well, the Mobius Band. 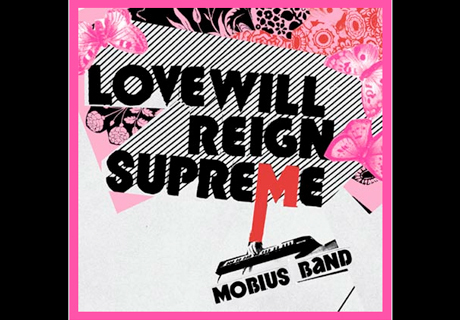 Love Will Reign Supreme is a six-song collection of the band's favourite love songs that is available free by clicking here. About the project, member Ben Sterling said, "In some ways, working on a record the traditional way can be kind of a drag. There's a lot of sitting around and obsessing about nothing. We were on tour all fall and playing together live every night. It was an appealing idea to lock ourselves in a small room and just play at each other and base things on that instead of making everything perfect and debating silly details."